What can Mountain Lake Eco Resort offers? Located at Brgy. Bacdulong, Mountain Lake Eco Resort is a quite recluse from the urban life and even the Poblacion life in Lake Sebu. Funded by ICTUS Premier Co-operative, Mountain Lake Eco Resort tries to live by its marketing tag which is “Celebrating Life with Nature.” First, it is the only solar powered resort in Lake Sebu with free wifi. The resort also allows you to explore the islets and lagoons around the area through various activities like the lake cruise, which also doubles as their floating restaurant, boating, and kayaking. Boating will cost you 500/trip ($11.75) for 45 minutes while kayaking is only a little over $1 for an hour. The floating restaurant (cruise) will cost you 200/person ($4.75), which offers buffet meals and a 1.15 hours lake tour with tour guide and cultural entertainment, which features a traditional T’boli dance and song. The cruise can take as many as 40 people and offers 50% discount for children below 11 years old. 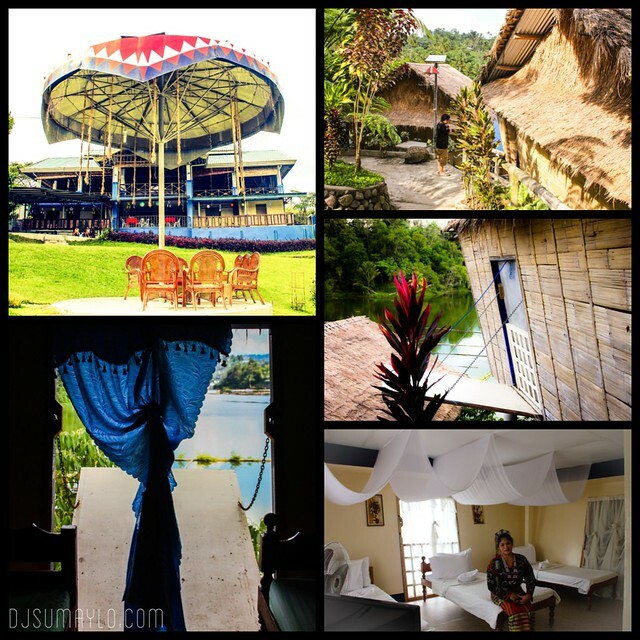 Aside from being solar powered that offers free wifi, the resort also boasts one of the biggest function halls in Lake Sebu, a souvenir shop, T’boli inspired architecture, air-conditioned bus services, and a resto bar that serves traditional T’boli liquor. They also have accommodations with and without cable TV. Price ranges from 700/night ($16.30) for two people to 1,600/night ($37.20) for 7 people. Accommodations have hot and cold shower as well and a spectacular view of the lake. Moreover, their dorm type accommodation will cost you 150/head or a little over $3. They do have an accommodation good for 10 people at 2000/night or $46.50 but it doesn’t have cable TV. So if you are planning to escape the city this long and hot summer and wishes to find quiet time with nature while learning and experiencing the T’boli culture without leaving the resort, Mountain Lake Eco Resort is the best place for you. For more information about the resort, you may visit their website at www.mountainlakeecorresort.com or contact them at +63917-311-3071 or at +63918-962-2209. You may also visit any ICTUS office in your area for more information about the resort.